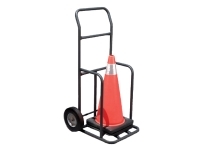 Create Added Space On Vehicles When Transports Multiple Cones. 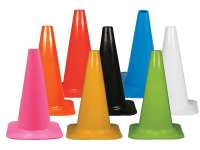 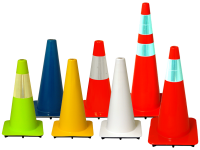 Traffic cones as the name suggests, are cone shaped marking devices used in various applications as warning signals. 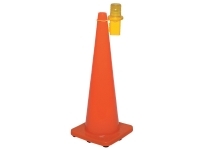 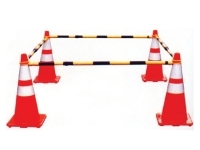 Known also as road cones, pylons, highway cones, safety cones, they are temporarily used mostly on road construction sites, and road work areas. 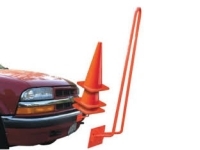 Additionally, the reflective cones are often seen ahead and behind a disabled vehicle to warn other drivers that there is a stationary vehicle present in their path. 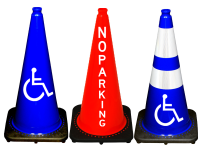 Residentially, parents have taken to use them to warn drivers that a neighborhood event is taking place or there at kids at play. 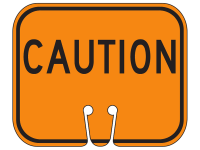 In essence, their usefulness to warn others to exercise caution is unlimited. 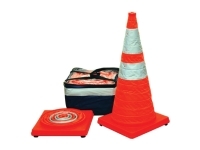 Now available in many color choices, safety orange still remains the #1 color purchased because of the traditional association of Orange as a color of warning. 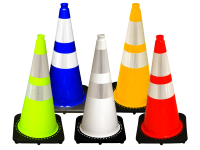 A little history about ‘traffic cones”: they were invented by an American by the name of Charles Scanion in 1943. 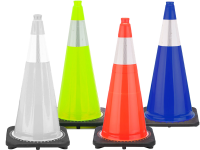 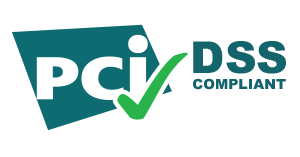 They were originally made of concrete but with the advent of plastics technology, they are now primarly made with thermoplastics or rubber.